The Newcastle upon Tyne Law Society Annual Dinner took place on Thursday 20th November 2014 in the Banqueting Suite, Civic Centre, Newcastle upon Tyne. Attending from Hadaway & Hadaway were Janet Littlefield (front left), Victoria Richer, Kate Davidson, Lynne McGonnell, Charlotte Hall, Judith Grange, Alan Horn, Tony Malia, Alastair McDonald, Derek Billham, John Coulter and Alan Douglas (back right). The event was hosted by the President, Verity Dobbie, and sponsored by Northumbrian Water Property Solutions with guest speaker Baroness Tanni Grey-Thompson DBE. 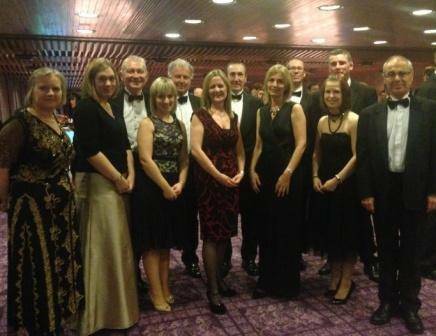 The Newcastle Law Society Awards 2014 were presented during the evening.